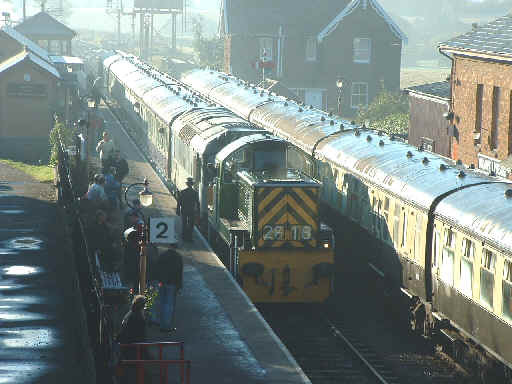 The first train of the Great Trains Extravaganza event was the 9.40 from Bishops Lydeard which was double headed by Class 14 D9526 and Class 25 D7523. 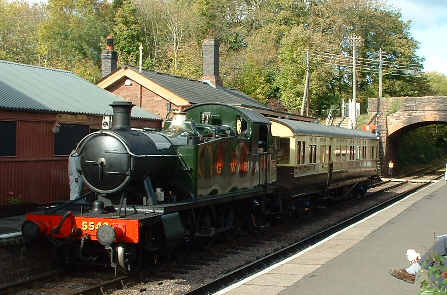 The next working was 5542 and the auto trailer on a "short" to Crowcombe, it is seen here running in ready to form the service while 80136 stands with the next Minehead service. 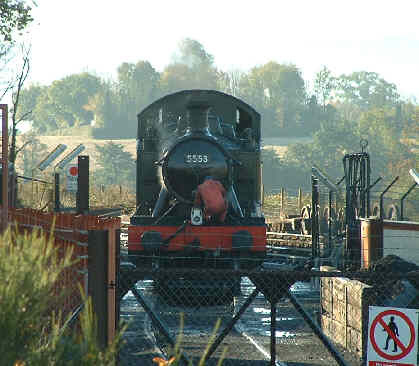 Meanwhile, at the other end of the station, 5553 was being prepared for duty in the loco compound. Further up the line D1010 Western Campaigner was receiving a wash and brush up at Williton courtesy of WSR guard and tail lamp repairman Jon Tooke. 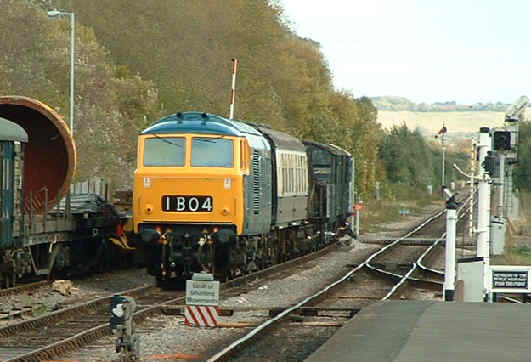 Class 14 D9526 then ran in to Williton on its way back to Bishops Lydeard. 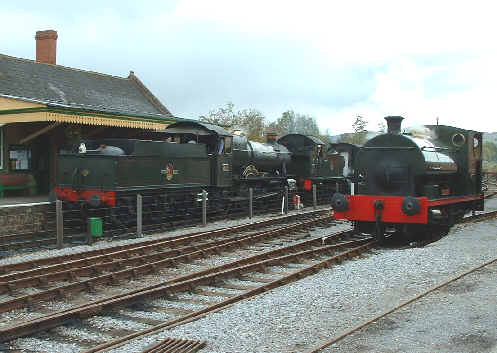 A closer view of the "Teddy Bear" with the Swindon shed and the Lynton & Barnstaple Railway's narrow gauge diesel in the background. 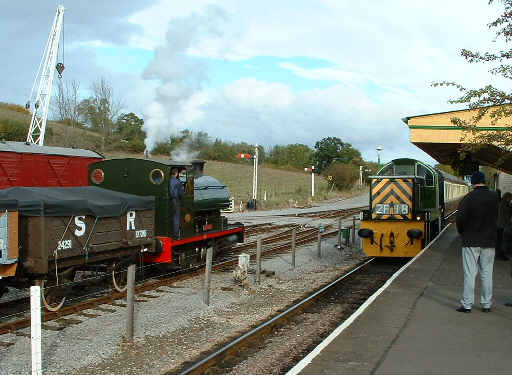 Back at Bishops Lydeard 5542 with the auto trailer stands at the Taunton end of the platform ready for a shuttle to Norton Fitzwarren while D9526 has arrived further down after arriving from Minehead. 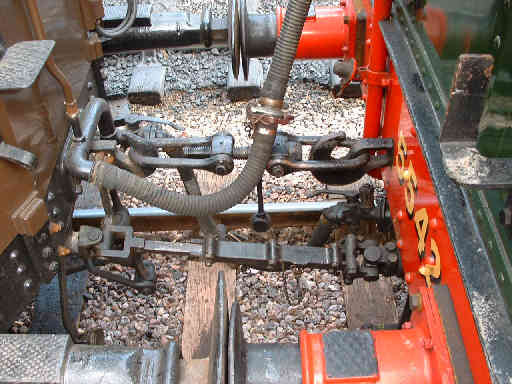 A view of the auto working connection between 5542 and auto trailer 178 - along with the normal coupling and brake and steam heat hoses. 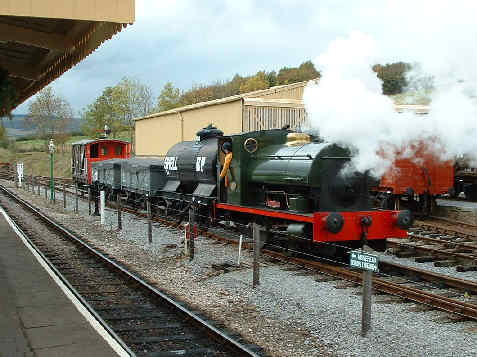 The auto trailer has very long buffers making the distance between it and the loco wider than usual. 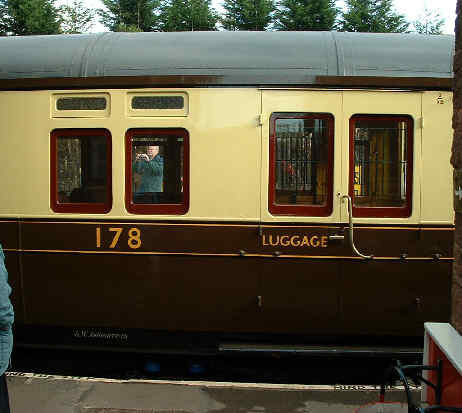 A slightly different view of the auto trailer showing the doors to the former luggage compartment which now forms extra passenger space. 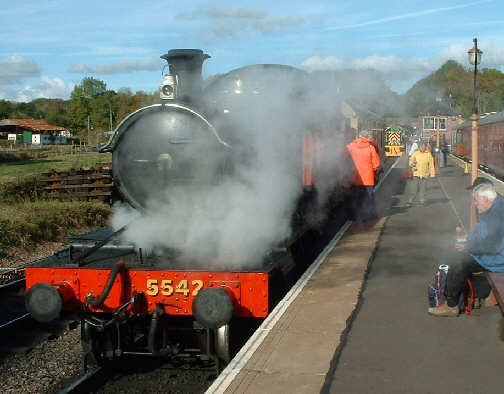 A more usual view, 5542 and the auto trailer stand in Bishops Lydeard's platform 1 ready for another shuttle trip to Norton Fitzwarren. Down the line at Washford Pecket saddle tank Kilmersdon was giving shunting demonstrations in the Somerset & Dorset Railway Trust's yard. 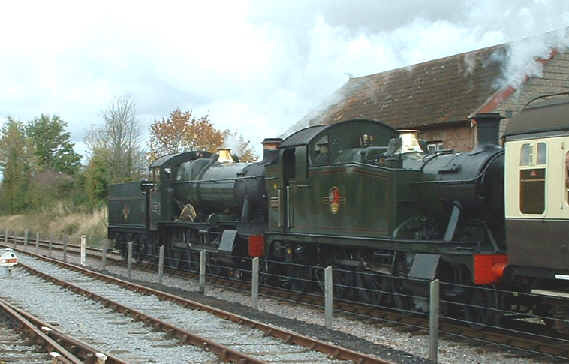 While Kilmersdon took a break 7820 Dinmore Manor and 5553 ran in double heading an up train. 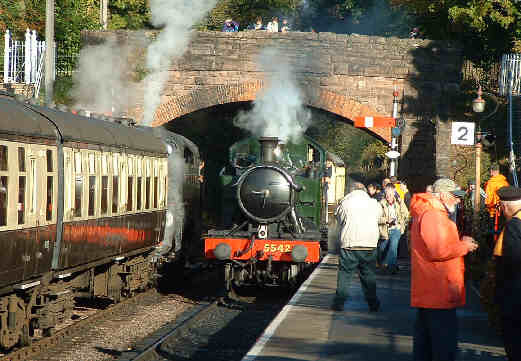 The pair then set off towards the coast at Watchet. 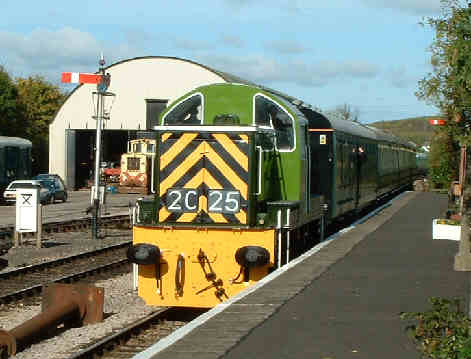 The next train was hauled by D9526 seen here running in beside Kilmersdon. 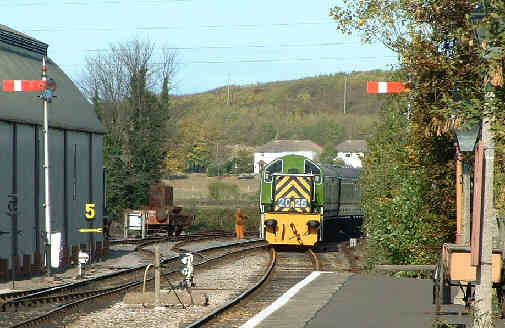 The end of the line at Minehead and the Class 14 has just run round ready to work the last up train of the day. 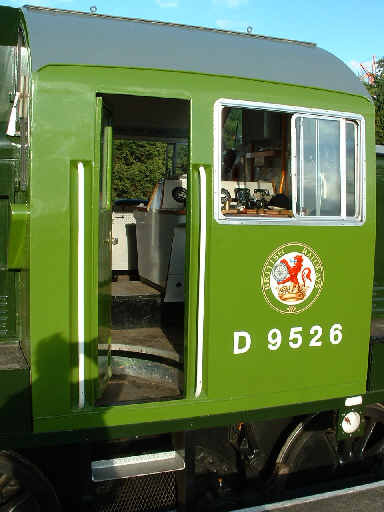 A view of D9526's cab showing the double sided central control desk. 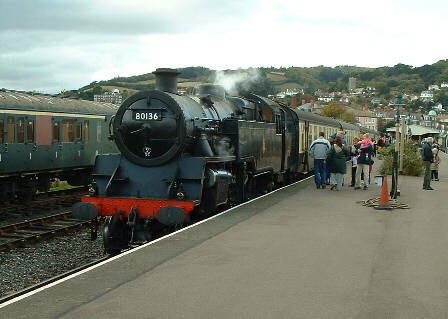 80136 waits at Minehead with a Bishops Lydeard train towards the end of the day. 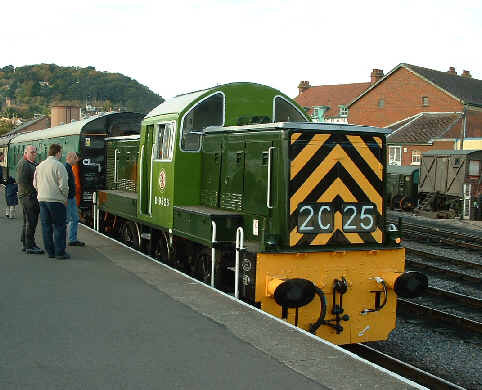 Hymek D7017 wasn't in use over the GTE weekend but was unusually stabled at Minehead due to lack of space at Williton while work was underway to create a concrete apron there.